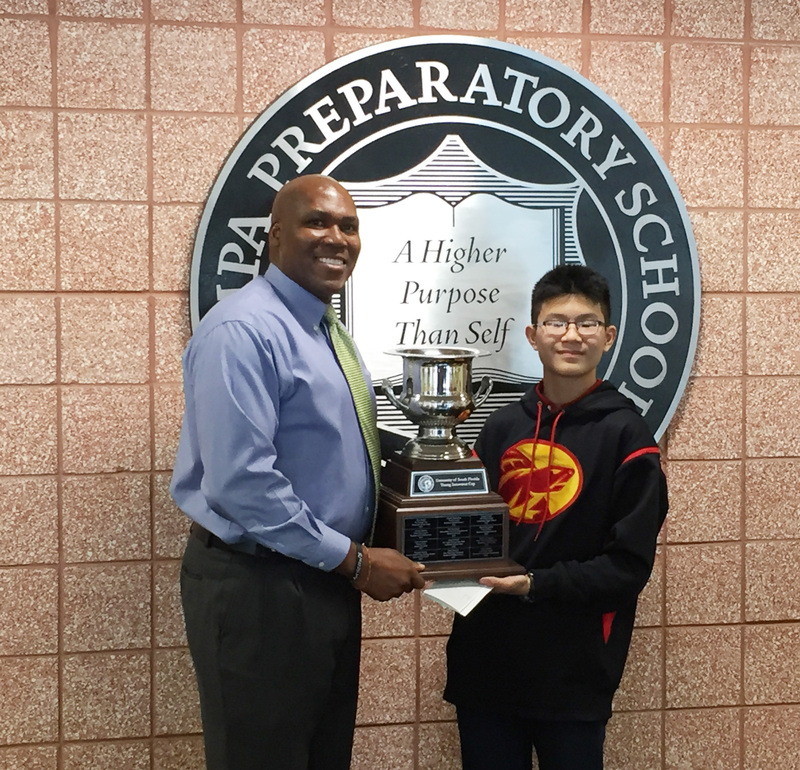 Ethan Yeh credits Tampa Prep Declamations assignment for public speaking preparation. Being able to get advice on my pitch before the final presentation from HSN professionals was a great opportunity. 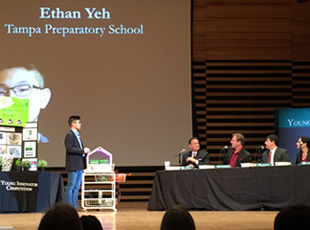 Tampa Prep is proud to announce that eighth grader Ethan Yeh won first place in the University of South Florida’s 2016 Innovator Competition. His invention transforms used K-cups into a hydroponic garden to grow herbs and plants. Ethan credits Tampa Prep for helping him succeed as a public speaker. Each year, every Tampa Prep student must present a Declamation speech to his or her entire English class. When asked how he felt presenting his pitch for the final time in front of the judges, Ethan said he wasn’t nervous at all because he had experience practicing and preparing a speech for Declamations. Using the advice from the HSN professionals, the finalists presented their final pitch to a panel of five judges and an audience of their peers and supporters at the USF Music Concert Hall. The judges encouraged competitors to pursue their inventions, providing feedback about business concepts like how to design a scalable product. Before announcing the winners, Dr. Paul Sanberg, Senior Vice President for Research, Innovation and Economic Development at USF, noted that many of the student inventions this year addressed social concerns, indicating the drive young people have for making the world better. Ethan’s was one such invention, and it was the standout from this year’s submissions. This annual competition, designed to celebrate innovation and entrepreneurship in young students, is sponsored by the University of South Florida, the Museum of Science and Industry (MOSI) and Home Shopping Network (HSN). To learn more about the competition, visit https://usfyounginnovator.com. Ethan presents trophy to Head of School Kevin Plummer. Ethan presents his invention to a panel of judges.